I just need to get something off my chest. It might seem rude, but sometimes the truth is hard to accept. And the truth is: dogs are not children. They cannot serve as an acceptable alternative to a child. You cannot be a mother if the only other living creature in your house is a cat or dog. Having a pet does not make you a parent. The suggestion is ridiculous, and to be completely honest, it’s also downright insulting. Just last week, while I was scrolling through my Facebook news feed, I came across a rather odd status update from an acquaintance. The gist of her post was this: A woman really can have it all today. I am a wife, I am a teacher, I am a voter, and I am a fur mother. I have a husband who loves me, a job that I love, a country that finally considers me a citizen with equal rights, and a fur child to care for. I am so happy to be living in a world where it really is possible to have the job that you’ve always wanted while still having a family. So let’s get this straight. This misguided young woman believes that she has it all because she has a job and a dog. Yes, a dog. Not a child. She does not call herself a mother. She calls herself a “fur mother.” But according to her analysis, they’re pretty much the same thing. She has it all because she has a husband, a job, and a dog. Her neighbor might have it all because she has a husband, a job, and a human child. But they both have it all apparently. This isn’t the first time that I’ve come across this idea, though no one has ever made it seem so absurd. I’ve heard of people calling their pets children, of pet-owners calling themselves mothers and fathers, but no one has ever suggested that pet-ownership was what the women’s rights activists had in mind when they were petitioning for equal rights for women. Until now. I’ve tolerated those comments up until now. I’ve mostly ignored them, shook my head at them, or rolled my eyes before moving on. But the practice of treating your pet as an alternative to a child has definitely become more commonplace, and it is just another example of how modernity has reduced the human child to a choice, just one option among many. Do you want to start a family? Fifty years ago, this largely meant quitting the rhythm method to increase your chances of conceiving. Twenty years ago, this meant getting off the pill or stashing the condoms in a drawer for a while. Now it apparently means deciding whether you want to have a human child or a “fur child.” Or maybe a scaled child. Or an amphibian child. Once you’ve made your decision, you either go to your local animal adoption agency or you try to acquire a human child, however that may look these days. Whether you go to the pet store, the bedroom, or the fertility lab, you’re still becoming parents. You’re apparently still starting a family. The concept is ridiculous, but it’s not just that; it’s insulting to all couples who actually have children or who want to have children. No matter what you want to tell yourself, no matter what you post on Facebook, your dog is not the same as a baby. Raising a child and taking care of a dog are too very different things, and to suggest otherwise is downright absurd. Yes, training a dog takes time and energy. It costs money. Your new puppy might wake you up at 6AM to go to the bathroom. He might have a few accidents before he’s fully house-broken. He might whine when he’s hungry, and he might fight you when you insist he goes out for some exercise or when you want to give him a bath. But none of this makes him a child. None of this makes you a mother or father. To compare your experience with a real parent is insulting to people who have real children. You don’t have to carry the weight of another person inside you for nine months. You don’t have to use your own body to nurse your puppy. You are not waking up in the wee hours of the night to feed an infant or to convince a frightened toddler to go back to sleep. If you get tired, you can put your dog outside or put him in his crate and take a nap. A real parent can’t do that. If they tried, they’d eventually be nabbed for child abuse. Sure, balancing a job with a new puppy can be difficult at times. Sometimes you might come home after a few hours out to find an accident on the kitchen floor, a chewed up sofa, or a ransacked room. You clean up the accident, clean up the room, do your best to hide the damage to your sofa. Maybe you yell at the dog. Most likely you don’t punish him because “he’s just a puppy.” After a few months, your puppy is a full-grown dog, and you can be gone all day without having to worry about what your dog is going to do to your house. You can’t do that with a child. You can’t leave them for a minute, never mind half a day. That’s child neglect. You might not have to deal with torn furniture, but there will be the occasional accident or temper tantrum. You cannot lose your cool with your child. You can’t hit them with a newspaper. You can’t lock them in the crate while you clean up after them. You just have to hope that they’ll go down for a nap so that you can get some quiet time while you clean up the pee on the floor, the poop on the walls, or the scattered toys that your one-year-old knocked over in her fit of rage before finally collapsing on the floor from sheer exhaustion. And you don’t have the certainty that she’ll grow out of it in a few months when she becomes a full-grown adult human. In a few months, she’s just going to become a toddler able to cause more intentional damage in your house. Then she’ll be a five-year-old who can use scissors to give her little sister a “hair cut.” Then she’ll be a moody teenager who won’t even want to look at you. And then, finally, after twenty-some years of growing, she’ll be a young adult, a woman in her own right, and your little girl might get married and have some children of her own. Or maybe she’ll decide that she doesn’t want kids at all; she just wants cats. And then you’ll be the proud grandmother of…cats. But it was her choice, right? We’ve turned children into commodities. We either want them or we don’t. 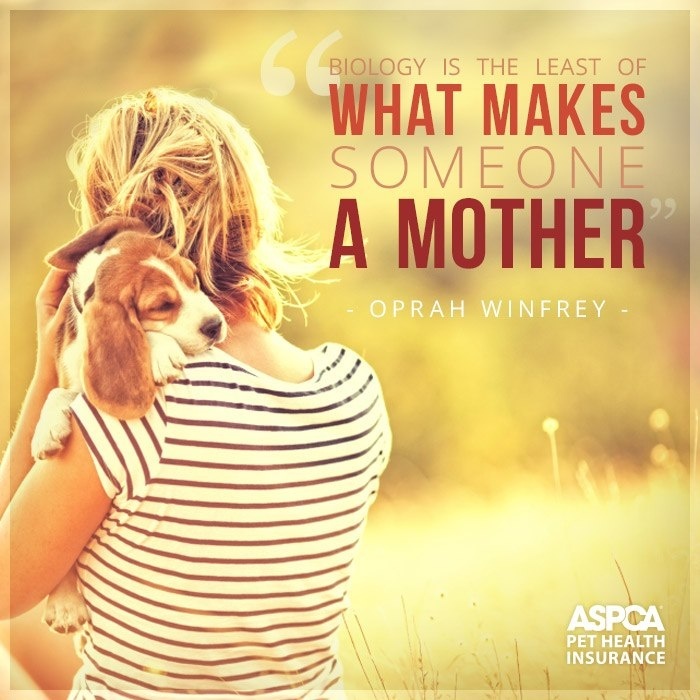 According to the modern logic, if we don’t want to go through the hassle of giving birth to and raising a child, you can just adopt a dog and call yourself a mother anyway. It’s pretty much the same thing. Having a child is just one option among many. Do you want to carry a baby inside you, endure the long hours of labor and the sleepless nights with late-night feedings? Then choose to have a baby human. Do you want to take the easier route, but still call yourself a mother? 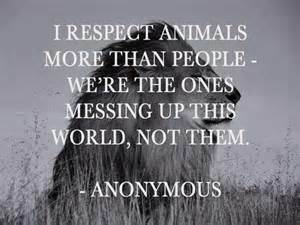 Then choose to adopt a baby dog or cat. Ultimately, they’re just two choices that lead to the same thing: a mother with her child. Whether you take the hard route or the easy, you’ll still have the privilege of calling yourself a mother. But you’re not. No matter what you might think, or what you might post on Facebook, you are not a mother. Having a dog is not the same as having a child. 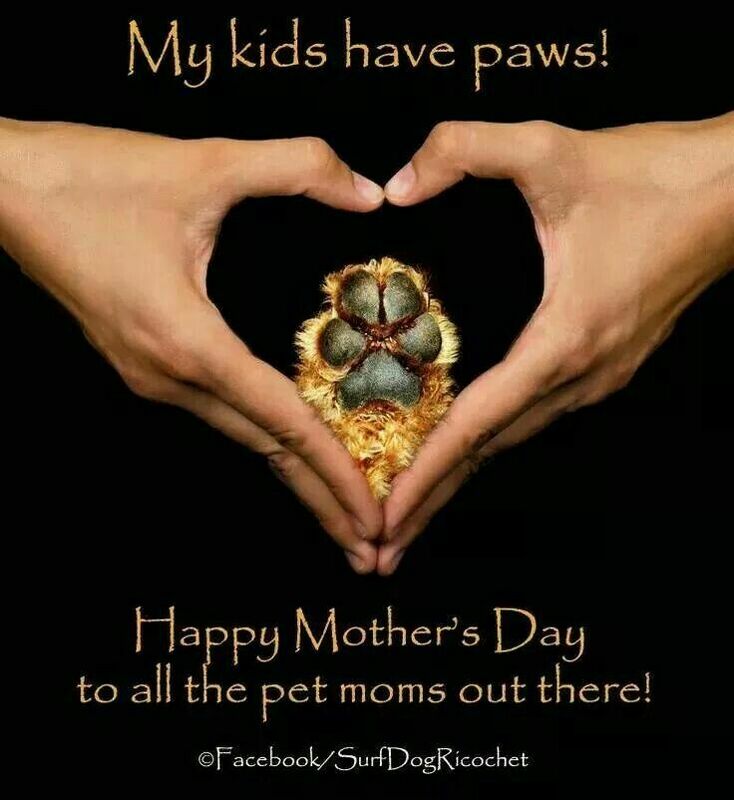 I love my family dog, and I have mourned the loss of every family dog that has died in the past, but I only became a mother when I conceived a child. My mother did not have four girls and one boy. She had three girls, one boy, and one dog. I do not have a sister who is a canine. Shadow is my pet, and as much as I love her, she will never be anything more than that. Hopefully, my husband and I will adopt a dog one day, but she will never make me more of a mother than I already am. Dogs are meant to be pets. They were never meant to be the children of human parents. I hate to break it to you, but your puppy already has a mother and father, and it’s not you and your husband. He might never see his parents again, but you will never replace them. No matter how much you might love your dog, she will never become your child. Adopting a puppy is not the same as adopting a child, and that’s that. I’m sorry if I’ve offended anyone by writing this post, but if you feel like I’m targeting you, I would urge you to take a deeper look at the relationship that you share with your pet. This phenomenon of adopting pets as legitimate children might not be of the same caliber as abortion, but it derives from the same fundamental principle. It treats children like they are choices, commodities that can be either chosen or rejected. It strips the human child of her innate dignity, placing her on the same level as your household pet. As much as I love my dog, she will never have the dignity of a human child. Only our true children can have that dignity. To claim that your dog and my child have the same worth is ridiculous and insulting to my child. It’s insulting to your dog too. Your dog is not seeking to replace a child. That’s all your doing. Your dog is content to just be a dog. He doesn’t want to be a child. He can’t be your child. And you can’t be his mother. To argue differently would be an insult against the mother/father-child relationship. It’s an insult to every child that you should have had, but chose not to because you were content to be a “fur mother” instead. It’s an insult to every child who has ever lived, regardless of whether they lived long enough to see this world. It’s an insult to every mother who has endured the pains of breastfeeding and midnight nursing sessions, to every father who has changed dirty diapers and cleaned up projectile vomit from the walls. You might not think much of your cute little Facebook statuses, but in the end, this is the message that you are communicating to all parents: we are the same, I am just as much of a mother as you are, my child has the same worth as yours, our experiences of “motherhood” are comparable. But none of that is true. You are not the same. You are not a mother. Your dog is not your child, no matter how well you treat it. Your experience is not the same as a mother’s. No matter how much you love your dog, you will always be a pet-owner. You are not his mother. If you really want to become a mother, you must do it the “old-fashioned” way- by either conceiving or adopting one of the many children needing parents. But no, I’m sorry, but your dog is not an acceptable alternative to a child, and that’s the end of it. I’m one of the woman you’d see posting #dogmom statuses. And if you took the time to ask why I do it,I’d share with you that I cannot have kids. I will adopt someday, I am sure of this. Yet, it’s still insulting to have my, yes – poor excuse for a child – and coping mechanism for infertility discredited by someone who does have it all; the dream that I can’t have; the pregnancy I’ll never experience and all the challenges, milestones, and blessings that come along with it. I hope you cherish it. Yet understand, simply nurturing, teaching, and loving a creature who relies on you can be a healthy substitute. I don’t see how that seems to discredit you as a mother. I think 100% of humans understand that point. Perhaps think about your child growing up and being unable to bear a child and find comfort in a pet. Would you have this same message addressed to him or her or would you be thankful they had something to replace the emptiness in their heart. First off, I would just like to say that I am sorry that you have to bear such a heavy cross. I know several women who have struggled or do struggle with some sort of infertility, and I can only imagine the type of pain that one might experience bearing that burden. That being said, for having borne it, they are also some of the strongest women that I have ever met. I am glad that you have found something that brings you joy and provides you with some healing. I grew up with dogs, and I am very much looking forward to the day that my husband and I can adopt a dog. It is amazing how much joy they can bring, and I would love for my son to have the same sorts of experiences as my siblings and I did while we were growing up. 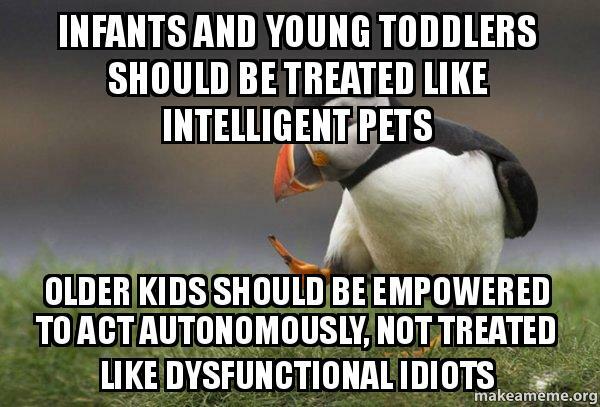 That being said, I still cannot say that a pet is a proper substitute for a child. Can they give comfort? Sure. Can they be a struggle when you are trying to house-train them or help them to sleep in their own dog bed or just to sleep through the night? Sure. Having grown up with dogs, there have been multiple times where my husband and I have noted how much like a dog our son can behave, and I know from experience that both pet owners and parents spend a great deal of time cleaning up accidents, dealing with poop, playing ‘fetch’, and snuggling on the couch with a blanket. But that doesn’t mean that my dog is a substitute for a child. Pets might call forth our maternal instincts, but I still wouldn’t go so far as to say that having a dog makes me a mother. Having a child makes me a mother. There are countless scenarios where our maternal instincts will shine in a brilliant way, and being a mother to a child is just one of those ways. But it’s my son who makes me a mom. A dog can’t make me a mother in the same way. It’s a gift unique to the human child. And I think your comment about my own child’s future demonstrates that fact. If my child were faced with infertility of any sort, of course I would be happy if he chose to adopt a dog and caring for that dog brought him any degree of healing. In fact, I’d be grateful for such a wonderful creature, and I’m sure I’d love it like my own dog. But I wouldn’t love it like my grandchild. That dog, as beneficial as it might be to my son and his wife, would not be a grandchild. Their adoption of that dog would not make me a grandmother, and that’s okay. It just wants to be loved, and I can certainly love it without my son considering it a child or me considering it a grandchild. I am not trying to discredit your source of healing, but I think it’s important that the uniqueness and incomparability of the human child be preserved.